Give a free seat to 20 startups, support your local entrepreneurs. Syed Irteza Ubaid is the Organizer of TEDxLahore, the TEDx Ambassador for Pakistan and a TEDx Translator. That’s a lot of TED. He has been involved with at least 18 TEDx events and has one of those personalities that we see so often when we talk to Organizers, passionate, curious, interested and helpful. TEDxLahore is the oldest TEDx in the city of 15 million people. If you search for Lahore on the TEDx event page, you’ll see there have been over 90 events in the city. Lahore is a major cultural and educational hub, and the citizens are hungry for intellectual events that challenge and stimulate them. In 2017 he was nominated by his peers to be a TEDx Ambassador and the liaison for the region with TED in NYC. The role of ambassador includes helping TEDx leadership understand the cultural considerations of the region. There are 20 TEDx Ambassadors. He is deeply involved in TED and TEDx and has helped form 20 TED-Ed clubs throughout the city as a way of nurturing the community. He shared a great trick, which is to have journalists on your curation team. They have ways of finding the most interesting people and stories, especially in a city of 15 million people. He’s been involved with TEDx since 2013 when his first event was for 100 people. They went up to 1,000, but since scaled back to improve the user experience. He’s worked with over 18 shows, and there are 50 unique TEDx events within a 7-hour drive from Lahore. As the Ambassador, he tries to get to as many as possible. His favorite part of the job: spreading skills in the region. 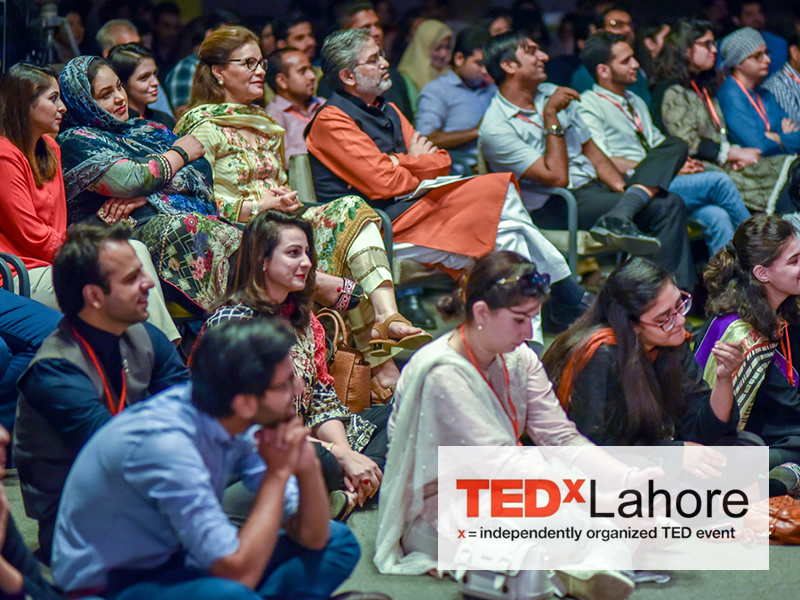 TEDxLahore is the oldest TEDx in the City, and they work with the local community to find amazing speakers that reflect the cultural and educational aspects of the city of 15 million people. Funny, when I asked him this question, he said, everyday is a new surprise. Love it. Coaching local speakers and bringing them up to the TEDx standards. Focus on the ideas, not the production, network, food or user experience. Meeting a new group of people, new ideas and user experiences that focus on cultural heritage.